Celebrate Christmas with us this year. 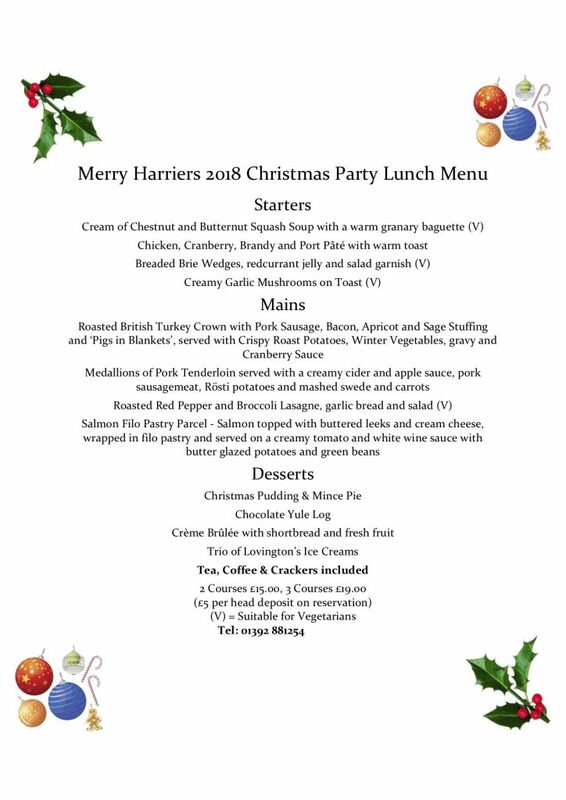 Choose from our Christmas party lunches or Christmas party dinners. 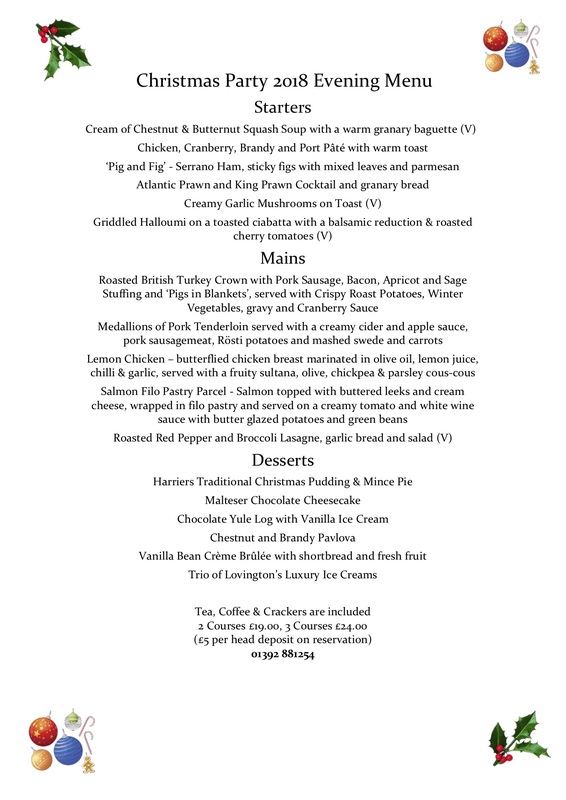 And to relive the stress on Christmas Day, join us for a delicious Christmas day lunch. 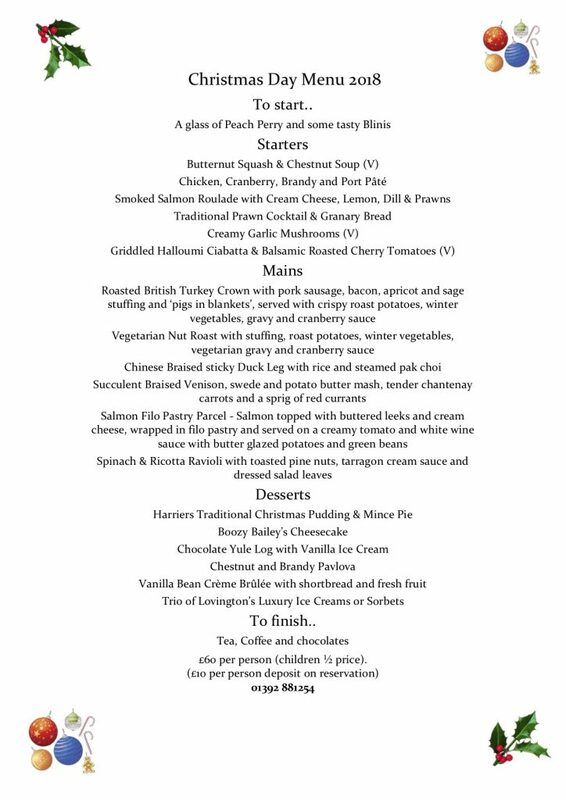 We are open every day over the Christmas period apart from Christmas Day Evening and New Years Day evenings. Wine, Dine and Dance | Disco from 9pm until the early hours | please ring to book a table. We will be open for dinner from 6pm which will be the bar menu and specials of the day. There will be a £5 per head charge for the disco, nibbles at 11pm and a glass of bubbly at midnight. If you would like to come just for the disco, nibbles and bubbly but not a meal, this will be £10 per head and must be pre-booked. John will get you home if you don’t mind waiting and give us some advance notice!